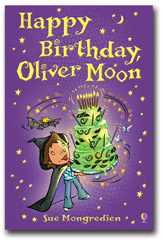 There are now twelve books published in the popular Oliver Moon series, with lots more on the way! Do have a look at the wonderful Oliver Moon website here where you can download colouring sheets, play games and find out more about Oliver and his friends. 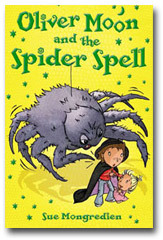 Oliver Moon works hard at Magic School, practising his spellcraft, toad-training and broomstick-flying. But when he’s entered for the Young Wizard of the Year award, he finds he’s up against the head boy, Merlin Spoonbender. 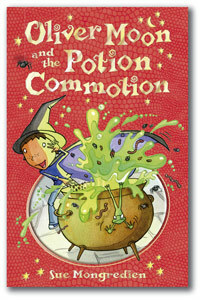 Can Oliver cook up an extra-special potion to win the prize? Mildew Cottage is perfect for Oliver Moon’s summer holiday. It’s cold, dark and – best of all – haunted! Oliver’s parents aren’t so happy, though. They’re fed up with the spooky noises in the woods, so Oliver decides to go ghostbusting with his new friend, Wilf. But is Oliver’s hairy pal all that he seems? Hooray! 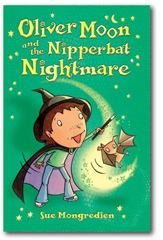 Magic School has finished for the Halloween holidays – and even better, Oliver has been chosen to look after Nippy the nipperbat, the class pet. But with Oliver’s naughty baby sister lending a hand, it soon turns into a nipperbat nightmare! Oliver Moon loves Christmas – sledging with his best friend, Jake, and eating loads of yummy minced eyes. But this year his family is going to stay with his horrible cousins at Toadstool Towers, and Oliver’s not looking forward to it at all. 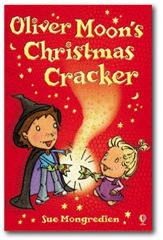 Will a magical Christmas cracker save the day? Oliver Moon isn’t keen on the new boy at Magic School. 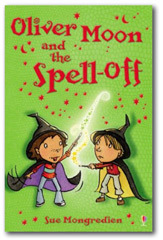 Casper thinks he’s the best at everything and tries to prove it by challenging Oliver to a scary spell-off. 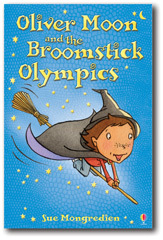 Can Oliver win the day with his trusty magic wand – or does the whole thing spell trouble? 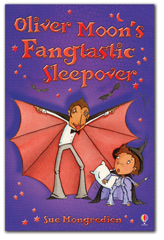 Oliver Moon is having a wail of a time at his spooky school sleepover in the haunted house museum. 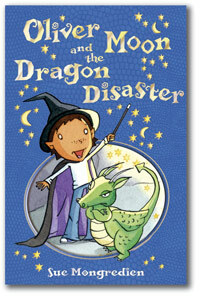 But then he’s cursed by a bad luck jinx and things start to go terribly wrong. Oliver didn’t intend to summon such very VERY scary guests! Will Oliver and his class survive the night? 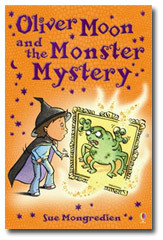 Oliver Moon thinks his luck is in when he wins the Magic School raffle, until he’s presented with his prize – a hideous painting of an ugly monster. 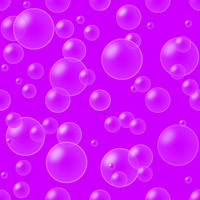 But could there be more to the picture than meets the eye? 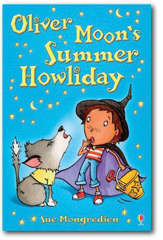 Oliver Moon really wants to be a hero in the Magic School play. 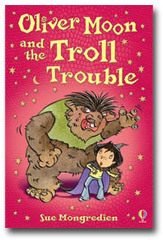 But when his audition goes disastrously wrong, he’s given the role of the stinky troll instead! Now Oliver wishes he wasn’t even in the play… until an unexpected visitor means he has the chance to be a hero after all.